QUIZ: How well do you know Liverpool’s four summer arrivals? With four new faces arriving at Anfield this summer, it’s time to find out how much you know about the latest additions to Jurgen Klopp’s squad. 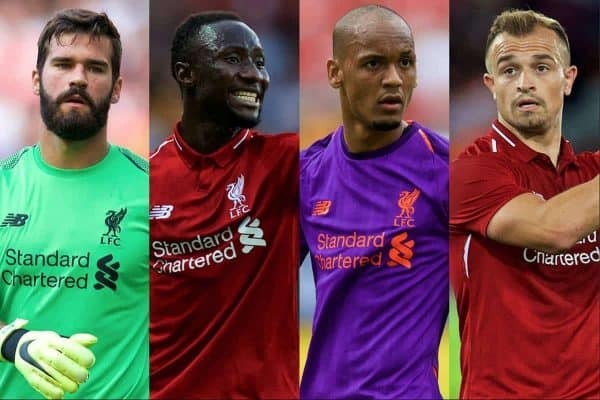 Naby Keita, Fabinho, Xherdan Shaqiri and Alisson all joined the Reds this summer as Klopp bolstered his squad impressively for the 2018/19 campaign. But how much do you know about the careers to date of the four new boys? Find out by taking the 10 questions below.